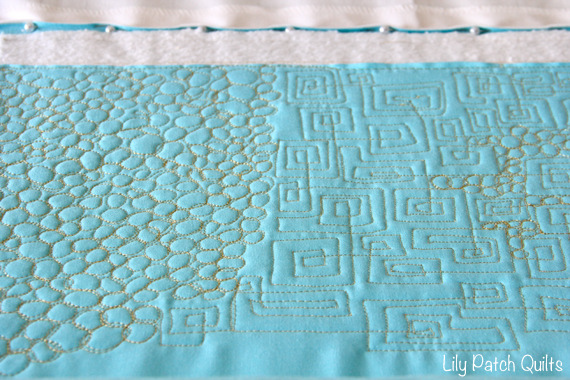 I have been wanting to take a machine quilting class for quite sometime and while Craftsy gave me a chance to review any class of my choosing, I chose Angela Walter's Machine Quilting Negative Space. The class is broken down into 10 segments. These segments cover various designs, combining designs, tips and galleries for your inspiration. The class also includes a free pattern and printable worksheets to practice with. I started out with pebbles and square geometric shapes. I feel like I need more practice with both although Angela says to vary the shapes so they look more pleasing to the eye. Next up is the paisley or some people call it clamshells. I combined the paisleys with pebbles and swirls. 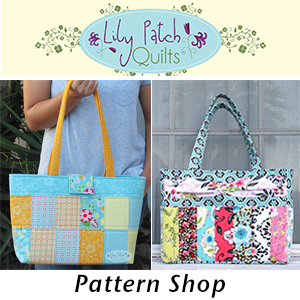 Angela has a segment on combining different patterns and she makes it really effortless to follow. I love this florals and swirls design. It's combining swirls then creating the flowers and echoing the design to create as large of a flower as you would like. 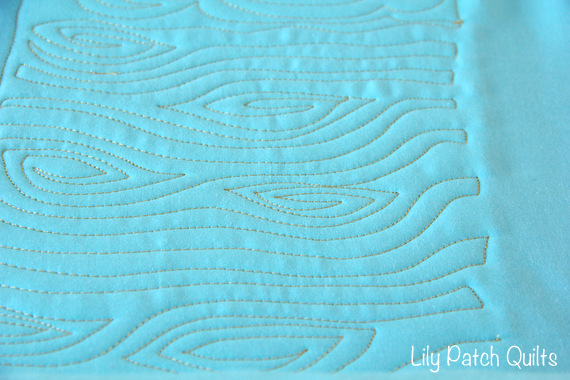 I could make machine quilt this design all day and throughout a whole quilt. It was quite fun. 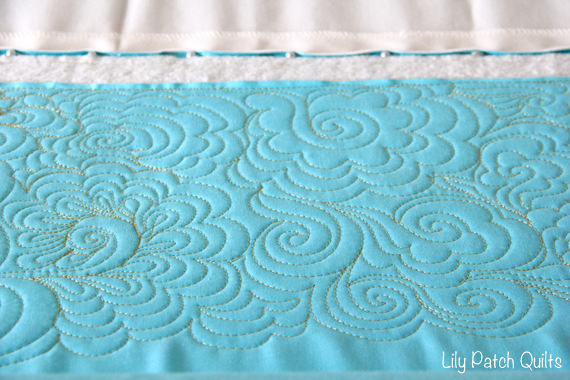 The other combination that I love to make is the swirls and leaves. My leaves are not like Angela's but I got the idea. There are many more designs in this class. I am still working on the wood grain and feather plumes. I need lots of practice on those. The Intermediate segment contains tiles, woodgrain and feather plumes. 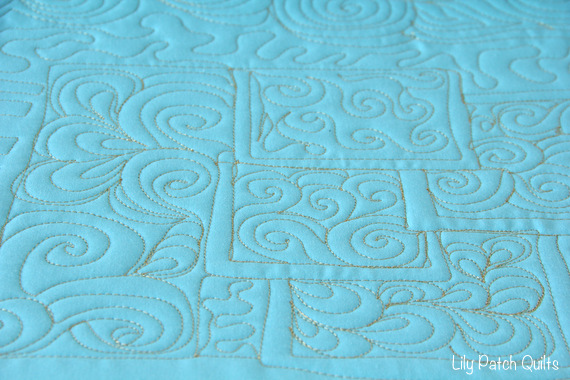 It took a bit of getting used to these more challenging designs but with practicing on paper than to the quilting machine I was able to manage it. I had a hard time keeping the lines straight on these tiles but I am sure with some more practice I will get it down pat. UPDATE: I squeezed in some time to practice the plume feather. This at first seemed difficult for me, but once again I pulled out my blank papers and started practicing on it a few times. I then watched the video again and kept the paper next to my quilting area for a reference. I think I did ok for my first round. I got carried away and started adding swirls and pebbles around it to fill in the space. Overall I highly recommend this class. Angela is an excellent teacher. She goes over every detail you can think of. I love the fact that you could always ask questions and get a response. Disclosure: This class is provided free in exchange for this class review. All opinions are mine. 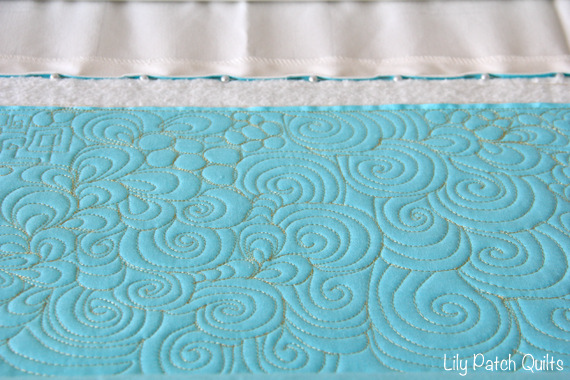 You definitely have the free motion quilting skill! You did beautiful work, Kim. Pleasing to look at! Definitely you've the skill. I loved the combination of swirls and flowers. I'd love to take this class. 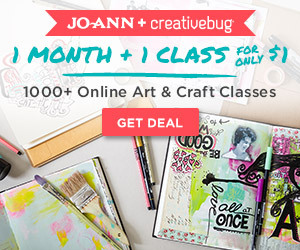 I've a big wish list on Craftsy! 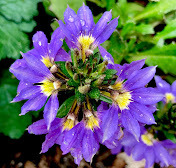 Pleasant to look at! You definitely have the skill! I'd love to take this class. 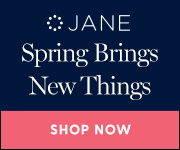 I've a big wish list on Craftsy though!! 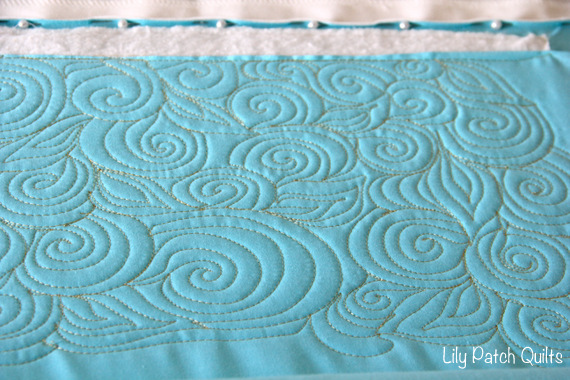 Your quilting is looking great!